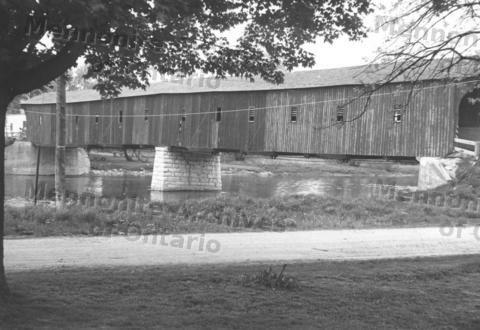 Item 1994-14-698 - The covered bridge at West Montrose, Ontario. The covered bridge at West Montrose, Ontario. The covered bridge at West Montrose, Ontario. Not found in CM.